Easy Life have today dropped two brand new tracks, ‘Temporary Love Pt. 1 & 2’, which are available now on Island Records. The hotly-tipped Leicester five-piece have also announced details of a new headline tour, with tickets on sale today (including details of their first ever US date). 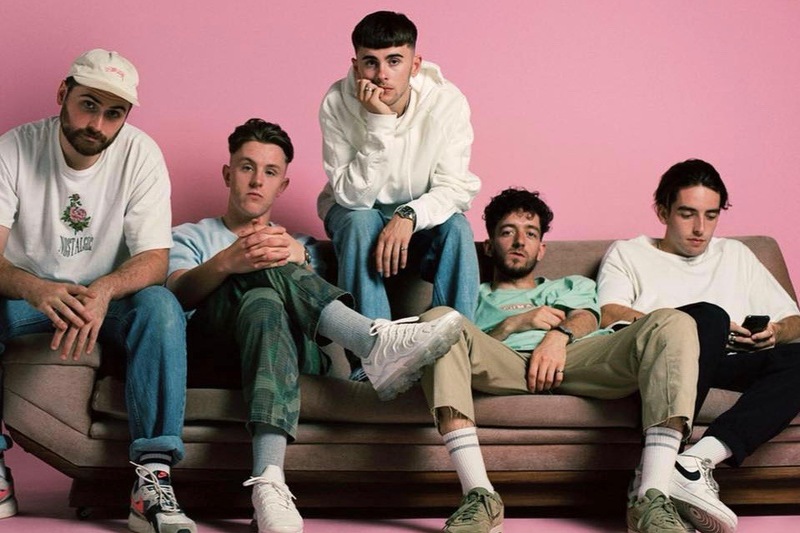 Easy Life recently capped a breakthrough twelve months with their TV debut on ‘Later…with Jools Holland’ and a rapturously-received, sold-out UK tour. ‘Temporary Love Pt. 1 & 2’ dig deeper into the irrepressible musicality of Easy Life: the first half is a lush, soulful cut of budding millennial romance (with Murray and Sam also on horns), whilst part 2 showcases a sparser, more melancholic side to the band, with little more than R&B-inspired keys and skittering beats in its portrayal of a love which turned out, after all, to be nothing more than temporary. Easy Life are a multi-instrumental, multi-tasking and multi-talented young five-piece who appear as at home with their free-wheeling sound as they are baring their soul. Here is a band that seeks to join the dots between the optimistic gospel-rap of Chance The Rapper, the scattergun storytelling of Arctic Monkeys, and the velvety vibes of vintage Dilla (all through the lens of “rainy middle England”). Murray was raised and has worked all his life on the Leicesteshire farm run by his parents, selling potatoes, plucking turkeys, and learning from an early age the value of getting your hands dirty to get where you want to be. He formed the band on a whim in late 2017 with bassist, saxophonist, singer and school friend Sam, after bonding over classic hip-hop as kids in the Midlands. Also in their ranks are Afrobeat-obsessed drummer Cass, guitarist Louis and Jordan, on percussion, keys and backing vocals. What’s emerged – albeit by accident – is a manifesto to truly live by, and appears to be resonating with sold-out crowds nationawide. “Easy Life is a form of escapism,” says Murray. “Living is proving to be increasingly difficult with all the pressures that modern life brings, and easy life rejects this materialistic philosophy; easy life is a hedonistic vision. When we coined the name there was a lot less thinking involved, but it feels like we have embodied the name over time rather than setting out from day one knowing exactly what it is we were looking for.” ‘Temporary Love Pt.1 & 2’ conclude an incredible year for Easy Life, though, thrillingly, you sense they are also only just getting started.